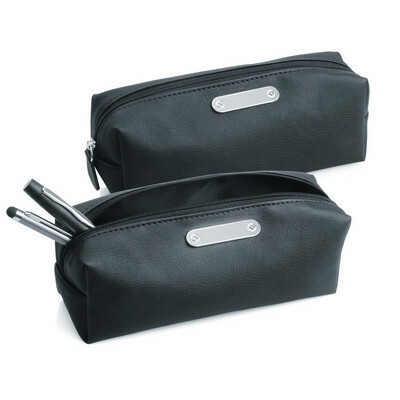 Description: Organising those Pen and Penils has never been more stylish or practical than with this Penil case; with plenty of options for locating a promotional message or logo. Colours: Black. Materials: Polyurethane (PUR or PU). Decoration Method: Pad Print, Engrave.